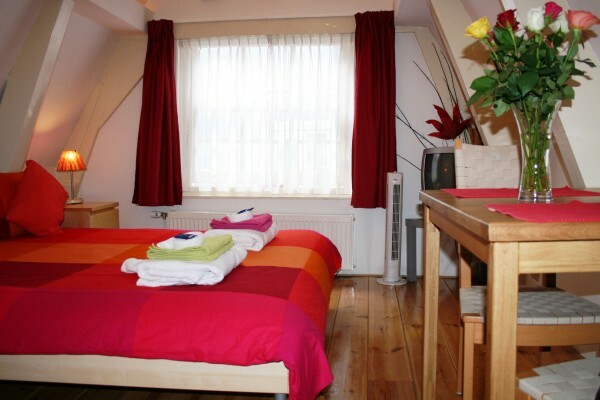 Just one minute walking from Central Station and Dam Square, in the centre of Amsterdam, you’ll find the romantic and quiet CityCenter Bed and Breakfast. In a sweet and typical house from just after the golden area of Amsterdam, Camillo & Joost want to offer you a really comfortable stay. St Jacobsstraat and the house are very quiet. So if you want to relax after a full day or a long night, this is the place to be, very close the center. With free Wi-Fi and all tourist information available, you have all ingredients to discover the best that Amsterdam has to offer. Here you find yourself in the very heart of Amsterdam. You have all the famous places, neighborhoods, museums and nightlife at hand. Dam’s Square, Beurs van Berlage, the famous Jordaan area, Anne Frank's House, the Red-light district it’s all not more than 3 minutes walking. As you are in the Venice of the north, a canal tour is one of the best ways to discover the unique feeling of this city. With Central Station just around the corner you can go anywhere you want. When you wake up, you can expect a rich breakfast served in your room that has been prepared with great care. Available for the guests, on the second floor of the house, there are two no smoking double rooms. The rooms are high and light, with the authentic rafters. You will find enough cupboard space. 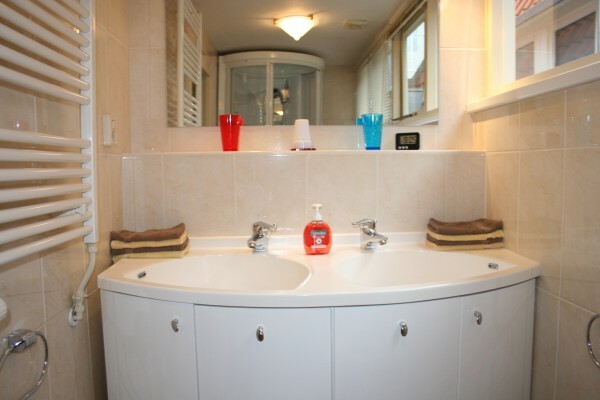 These two rooms shared our luxurious bathroom with hydro massage and steam sauna shower. Available for the guests, on the second floor of the house, there are two no smoking double rooms. The rooms are high and light, with authentic wood rafters. Very Romantic! Exellent quality Queen Size bed! Your room will be cleaned daily and fresh towels will be provided every day. Fresh bed linen will be provided every two days! Rich Breakfast will be served in you room from 8am to 10 am. On sunday your breakfast will be served in a nice restaurant close our bed and breakfast! 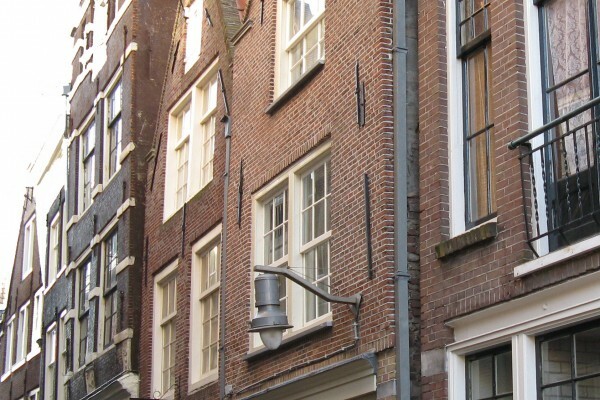 No experiences yet with Amsterdam Bed and Breakfast City Center. Be the first! 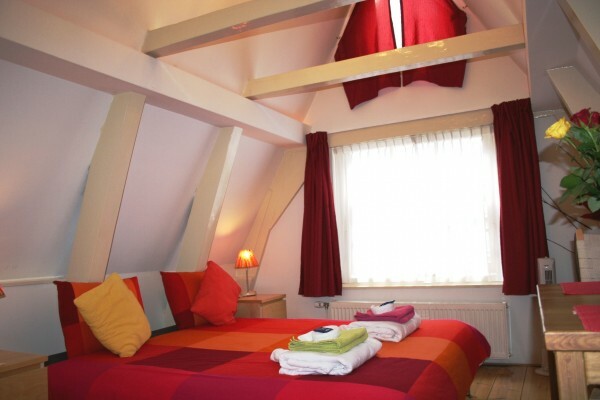 Did you stay in Amsterdam Bed and Breakfast City Center? Let us know what you thought about it and help others to make the right choice! * I confirm having stayed in Amsterdam Bed and Breakfast City Center. 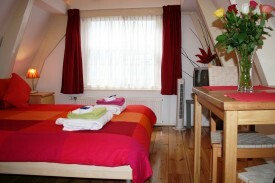 Find other bed & breakfasts in Amsterdam or all bed & breakfasts in North Holland.